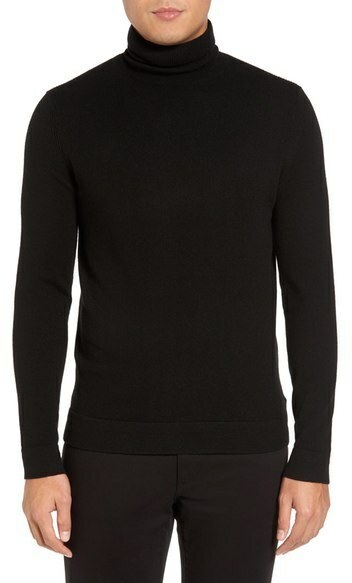 If you're after a casual yet stylish look, marry a Theory donners trim fit cashmere turtleneck with blue skinny jeans. Both garments are totally comfortable and will look great paired together. Elevate your look with black suede desert boots. 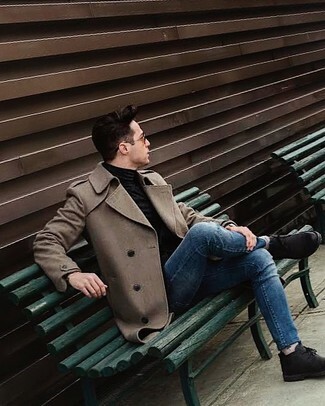 For a nothing less than incredibly stylish look, wear a Theory donners trim fit cashmere turtleneck from Nordstrom with grey wool dress pants. 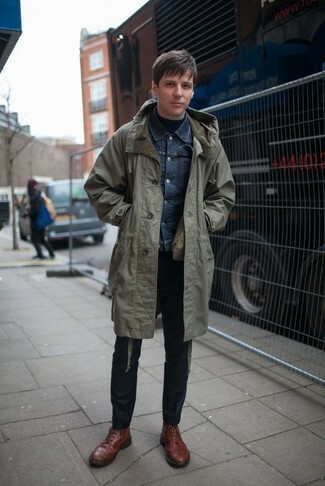 When it comes to footwear, this look is round off nicely with grey suede derby shoes. 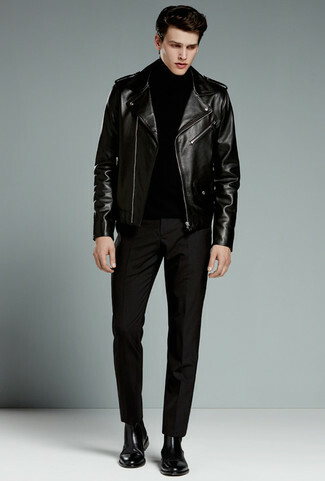 If you're on the lookout for a casual yet stylish outfit, opt for a black turtleneck and black skinny jeans. Both items are totally comfortable and will look great paired together. 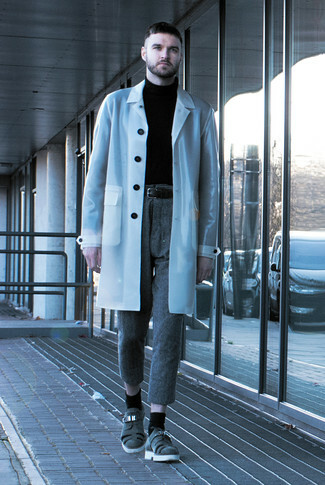 Finish off this look with grey leather low top sneakers. As you can see here, being a dapper dude doesn't take that much the office. 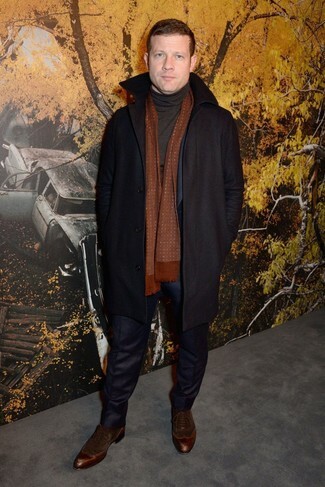 Just consider wearing a black turtleneck and a black overcoat and you'll look awesome. Play down the casualness of your outfit with dark brown suede oxford shoes. 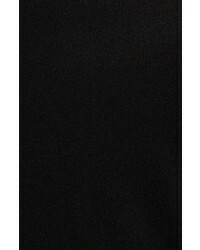 Pair a Theory donners trim fit cashmere turtleneck from Nordstrom with navy dress pants for a classic and refined silhouette. For something more on the daring side to complement this ensemble, make dark brown leather brogues your footwear choice. 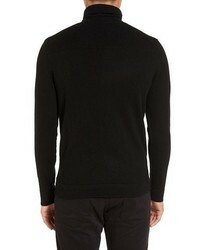 Marry a Theory black turtleneck with black dress pants and you'll be the picture of polish. 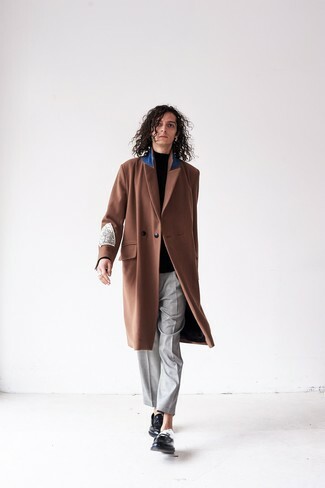 Our favorite of a myriad of ways to complete this outfit is with a pair of black leather chelsea boots. 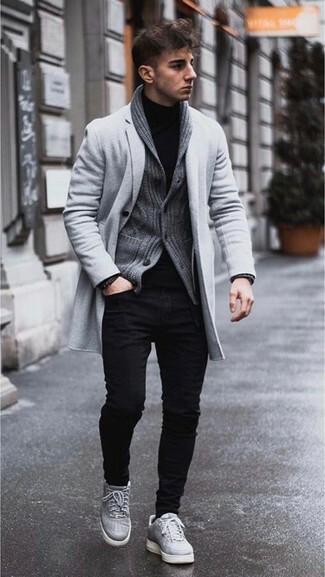 Look awesome without exerting much effort in a Theory donners trim fit cashmere turtleneck and grey check chinos. Tap into some David Gandy dapperness and complete your look with black leather loafers. 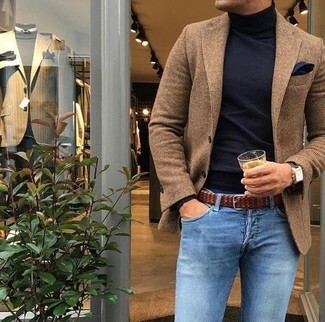 If you're on a mission for a casual yet stylish ensemble, reach for a Theory donners trim fit cashmere turtleneck from Nordstrom and light blue jeans. Both pieces are totally comfortable and will look great paired together. 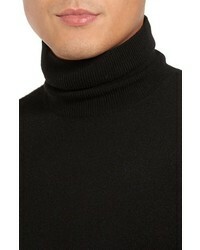 For a nothing less than incredibly stylish outfit, team a black turtleneck with a black suit. Kick up the cool of your getup by rounding it off with black leather oxford shoes.